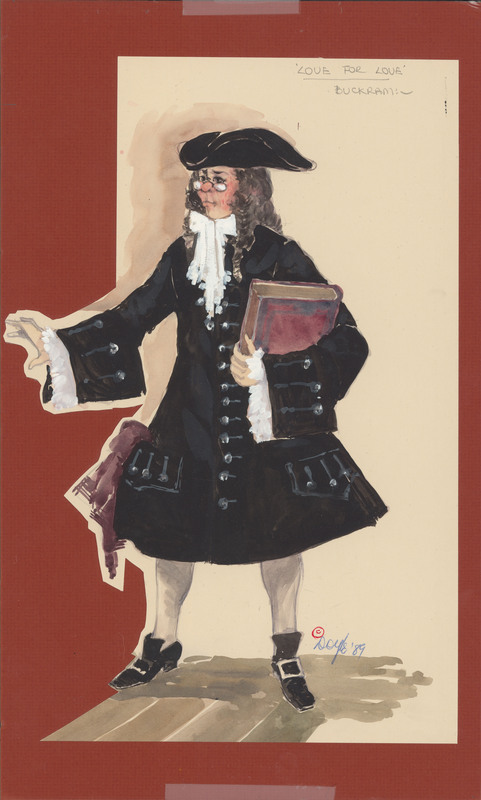 Item is a watercolour sketch of a costume design for Dalhousie Theatre's 1989 production of Love for Love. The costume is for a character named Buckram. The sketch shows one male figure wearing the costume and holding a book. The sketch is cut out and mounted on a dark orange matboard. The sketch is also covered by a clear plastic sheet which is taped on.